Use the form below to contact tour 7 days Golden triangle tour with Udaipur directly. With real india journey explore the package of 7 days Golden triangle tour with Udaipur itself is a glory and a pride for travelers to become a part of the royal place for few days experiencing various colors of joy and royal hospitality at every place and every step in Rajasthan. 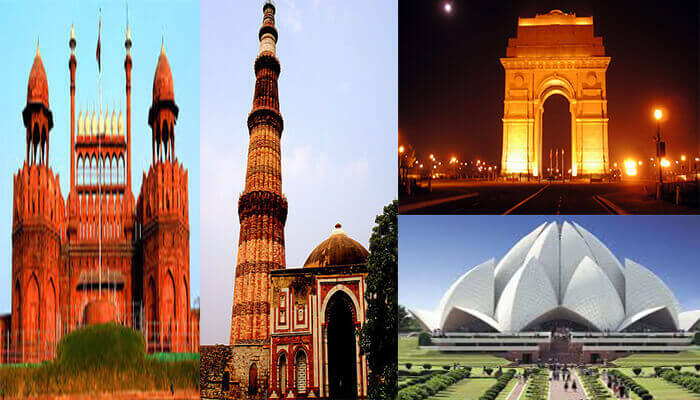 Golden triangle tour in India is a prestigious tour package to visit the historical and heritage places of the country. 7 days Golden triangle tour with Udaipur is an optimum package to visit real color of India and Rajasthan. Book a deal and grab the opportunity to explore the undiscovered areas. Namaste! We greet, welcome to you at Delhi airport, and with the warm welcome, you will be driven to your pre-booked hotel. The remaining day will be leisure for you as you have traveled a long distance and yet a long distance to go. However, at night you can enjoy the Delhi street wandering and shopping in the local market. Qutub Minar, India Gate, President house and Humayun’s tomb. Post sightseeing, get back to the hotel and have remaining time at leisure. By night get back to the hotel and have a rest. Post breakfast, you will visit the most awaited moment, standing in front of Taj Mahal. The Taj Mahal is a love epitome, which was specially built by Mughal emperor Shah Jahan for his wife Mumtaz. Later you will be driven to Jaipur. On reaching, first check-in your pre-booked hotel and have a rest. Once the sightseeing gets over, get back to the hotel and have remained a little time at leisure. At night you will have dinner at Chokhe Dhani, the famous villa resort in Jaipur. Here you can enjoy folk dance and music. Later get back to the hotel and have a rest. Post breakfast, you will be driven to Udaipur. Reaching the city first check-in your pre-booked hotel and have little relaxing time. Post a short break, you will visit the lake city, In the evening you can enjoy the boating in the lakes. By night return back to the hotel and take a rest. By night return back to the hotel and take a rest. Post breakfast, check out from the hotel and you will be driven to Delhi airport. Reaching Indira Gandhi international airport to board your connecting flight to home destination.Here the 7 days Golden triangle tour with Udaipur end. We used this company while we visited Delhi, Agra, Jaipur, and Udaipur. We had one driver who was absolutely amazing, nothing was too much trouble and his English was good. The car was comfortable and he was an incredibly safe driver. Our guide in Delhi fine, Agra ok and very good in Jaipur and Udaipur. At every stage, you need to be assertive about being taken to somewhere. On the whole way, it is a great safe experience.